Event Description : MUSIC : Suraj Rajan live. 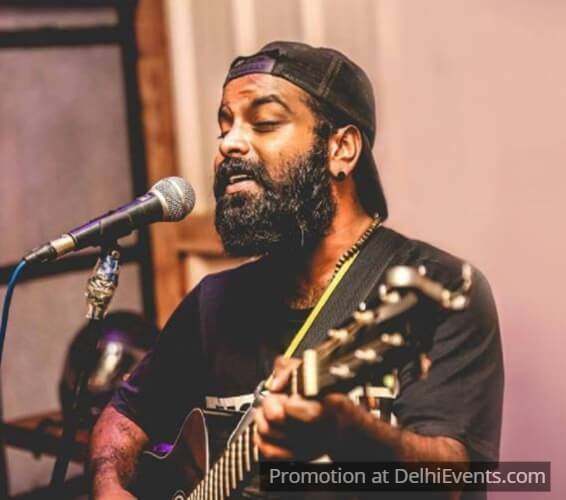 Suraj Ranjan is a Singer/Songwriter originally from Ooty, now based in Delhi. He recently released a single called 'Your time' on Youtube which is going to be streaming on other musical platforms soon. On his way to release his new EP 'Dispose'. He doesn't have a specific genre, writes and composes according to what he's feeling at that moment. The versatility reflects in his compositions. Keeps it simple and catchy.